Gameloft updates its Diablo-inspired action romp to include co-op and PvP. 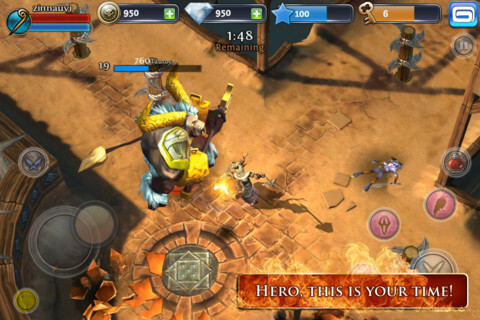 We expected quite a bit from Gameloft's Dungeon Hunter 3, only to discover a shallow app in serious need of depth. Thankfully, the publisher responded with an update that brings multiplayer to the dungeon crawling experience. Available now, the DLC adds both co-op and PvP. In addition, the company fixed assorted bugs, tweaked some key regeneration issue and optimized the leaderboards. Whether or not this boosts the game's appeal remains to be seen, but since it's free, you might as well give it a try.